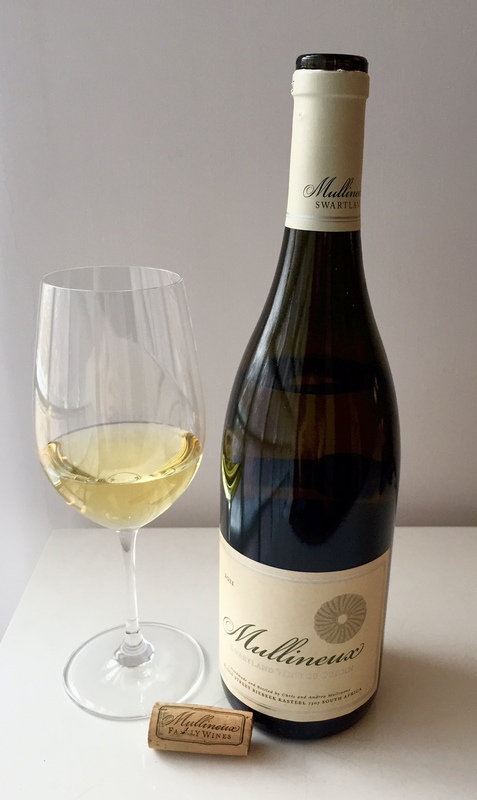 The white blend from Mullineux & Leeu Family Wines in Swartland South Africa is one of my all time favourite white wines. 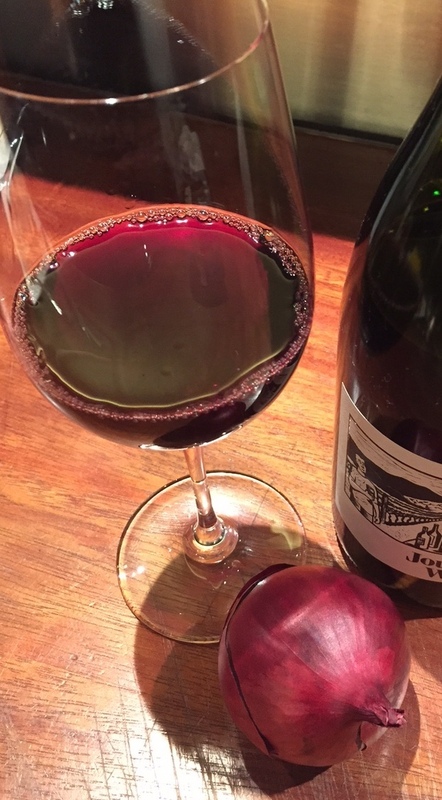 It satisfies so many different requirements being the perfect weekday wine as well as the quiet star to serve for friends over dinner on the weekend. A blend of Chenin Blanc, Clairette blanche and Viognier, the grapes for this wine are sourced from five different vineyards. Vine age ranges from 40+ year-old dry farmed bush vine Chenin Blanc and Clairette blanche to 32 year-old Chenin Blanc to 11 year-old Viognier, with soil types including shale, schist, decomposed granite and iron-rich soils. After harvesting the grapes by hand the Chenin Blanc and Clairette blanche are pressed whole bunch, a technique used by winemakers for various reasons, one of which is that the stems of the grapes act as natural filters yielding grape juice with fewer solids. The Viognier however, is destemmed and spends 4 – 5 days on skins before the berries are pressed. Fermentation with indigenous yeasts, lees contact and malolactic fermentation take place in barrel and the following year the wine is racked from the barrel before the blend is compiled and the wine is bottled unfiltered. The wine has good weight on the palate with flavours of stone fruit, honeysuckle, tangy orange and Meyer lemon along with a dose of fresh green pear. Yeast characters and a creamy texture combine with herbaceous cut grass notes so that this wine never fails to delight – and in this case it was a delight on a weekday night. 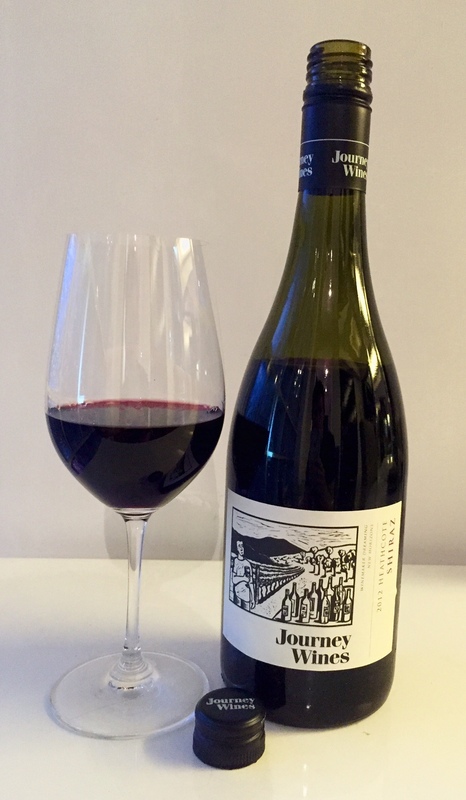 Later in the week it was time to go red so we started with Journey Wines Shiraz 2012 from Heathcote in Victoria, Australia. Heathcote is famous for the seam of red soil that runs through the region. The soil is ancient Cambrian volcanic soil rich in copper and calcium and the vineyards trace the seam as it runs through the area. Winemaker, Damian North, returned to the Yarra Valley after working in Oregon and in Western Australia’s Margaret River at Leeuwin Estate. For the Shiraz Damian uses a combination of destemmed and whole bunches which are added to open top fermenters for the indigenous yeasts to work their magic. Maturation occurs in 33% new French oak barriques with the balance being old French barriques. This Shiraz is a piece of art. Not only it is absolutely beautiful to drink, the colour is a hypnotic combination of ruby and purple hues. There is a lush and velvety quality to the wine but with elegance and restraint. The fruit is ripe but not overpowering and expertly balanced with floral, herbaceous and spice notes. Acidity and tannins with subtle use of oak create a structure that offers an imminently drinkable wine, or rather a dangerously drinkable wine. When I first met Damian we stood around a barrel tasting his wines – I foolishly wore white, which you only do once, especially when I have the spitting skills of a newborn! Despite the private horror growing in my mind as I tried gallantly to spit the wine into the bucket, I was struck by the distinctive style of these wines. This was a couple of years ago but I clearly remember a sense of beauty present in all the wines. The depth of consideration and thought evident in each wine makes quite an impression and one that continues well beyond the last sip. This week it was the Shiraz we enjoyed but Journey Wines Chardonnay is always top of my list for its singular elegance, balance and sophistication. While I realise this is verging on cheerleading, I assure there is not a pom-pom in sight – but, if you are in Australia, you really should seek these wines out, they will not disappoint. Rounding of this trio of fine wine was a tasting at Ginsberg + Chan here in Hong Kong. This is my go-to venue for tastings and fine wine and was central in developing my palate for the WSET Diploma tasting exam. What I particularly enjoy about these tastings is the opportunity to taste wines that do not exist in my cellar. This week’s tasting was no exception. Bordeaux: see how they age offered comparative tastings of Chx. Rauzan Segla (2010, 1983), Grand Puy Lacoste (2009, 1988) and Pichon Longueville Comtesse de Lalande (2007, 1990). The wine of the night for me was the 1983 Rauzan Segla. It was in the first flight and I may just have been the last to empty my glass for the next flight. The wine showed great complexity – a veritable “peacock’s tail” on the palate. Savoury, fruit and spice notes were on offer, leather, barnyard and tobacco with cloves and fennel sitting alongside tart red fruits and black tea leaves. Fresh acidity and power within a restrained structure, in what seemed to me a classic Bordeaux personality, showing layer upon layer of aroma and flavour as time passed. It was pretty tasty! Not a bad start to the week I must admit. What’s been in your glass this week? The ’83 Rauzan-Segla and 1990 Comtesse…heaven. Thanks for sharing, good luck on the WSET! Thanks! Yes it was a pretty good week that one!